Here’s the transcript from the DOJ Press Release this morning. I copied & pasted so all errors are their errors as are the CAPS. My opinion on this ..it’s SES CYA… the new video, “American SS Exposed”, that was released about the ‘unpackaging’ of their hidden reports they’re required by law to file spurred them into action for ‘Damage Control’. It is my thought this message is speaking about the Abel Danger & Field McConnell exposing the SES Treason. Their Report had numerous ‘traps’ set for anyone that tried to ‘unpackage’ the report. It is my thought, ONLY my thought this is the cyber-hacking they are speaking up and using Iran for cover. I think they’re speaking to their own people and letting them know there won’t be an ‘investigation’ for their protection and conveniently the Iranian Hackers are in Iran. They had to come up with HACKERS to pass blame for what they’ve been doing. Listen to the video below or use this LINK if you haven’t already listened to it then read this DOJ Press Release. Remember the Russian Dossier FABRICATED to impeach President Trump. When you have total control over all law enforcement agencies at the highest level anything can be anything you want it to be. Especially nice how they say ‘innocent until proven guilty in America’ for the Iranians but railroaded Hammond’s, Bundy’s and others by fabrication and omission of evidence. I’m glad I ‘captured’ the transcript because I just checked the ‘live feed’ link of DOJ Press Release and the transcript is no longer there, so it was only available during the live-feed. Here is the ‘White Paper’ for Stratosperic Aerosol Injection (SAI) or also layman’s term ‘Chemtrails’ – SAI is terminology to be used if you inquire about the skies to the government. They’ve been doing this spraying since the 60’s. I use to have a military file that mentioned ‘Bio-warfare’ and using it on ‘citizens’. What happened to our blue skies? Why do we get a ‘white shade’ pulled across the sky? Why are there no longer ‘ConTrails’ which are ice crystals that form from high altitude and dissipate within 30 – 45 seconds as they drop to warmer air? Why do so many people now have asthma, lung issues, coughs, sore throats and other upper respiratory illnesses and diseases? This is not by accident – research ‘Weather Wars” click on Resources above and scroll down to the files. Education is key, not ‘Indoctrination’. In this paper, we focus on stratospheric sulfate injection as a geoengineering scheme, and provide a combined scientific and ethical analysis of climate response tests, which are a subset of outdoor tests that would seek to impose detectable and attributable changes to climate variables on global or regional scales. We assess the current state of scientific understanding on the plausibility and scalability of climate response tests. Then, we delineate a minimal baseline against which to consider whether certain climate response tests would be relevant for a deployment scenario. Our analysis shows that some climate response tests, such as those attempting to detect changes in regional climate impacts, may not be deployable in time periods relevant to realistic geoengineering scenarios. This might pose significant challenges for justifying stratospheric sulfate aerosol injection deployment overall. We then survey some of the major ethical challenges that proposed climate response tests face. We consider what levels of confidence would be required to ethically justify approving a proposed test; whether the consequences of tests are subject to similar questions of justice, compensation, and informed consent as full-scale deployment; and whether questions of intent and hubris are morally relevant for climate response tests. We suggest further research into laboratory-based work and modeling may help to narrow the scientific uncertainties related to climate response tests, and help inform future ethical debate. However, even if such work is pursued, the ethical issues raised by proposed climate response tests are significant and manifold. If you know someone living in CA it’d probably be good to given them this information. The AlIENS that are already there are going to have some competition. See how corrupt these Communist Global Democrats are? RINO’s are right there with them as well. 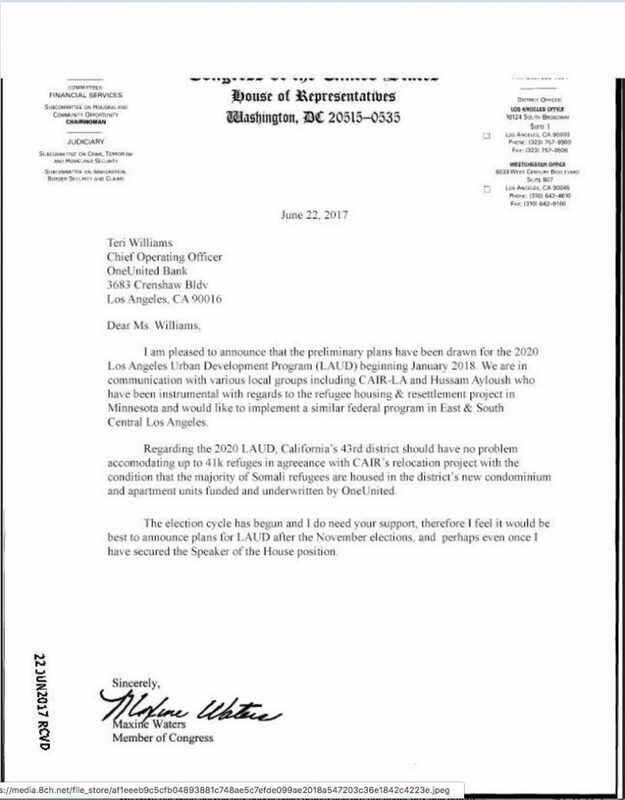 Maxine Waters tells United Bank that she needs their money to get elected but doesn’t want anyone to mention the 41,000 Somalian Refugees being re-located in LA until after the November elections bc it may hurt her chances of re-election. This is really an eye-opener – do you still believe that ‘Dumbing Down of America’ is a conspiracy? Years ago American EDUCATORS TEACHING CRITICAL THINKING were the best in the world. Teaching critical thinking is key to inventive, creative creation in our society and why it had to be stopped by the communist CIA of Bankers & Lawyers. Intelligent ‘Thinking’ people are more difficult to manipulate & control. Years ago many only went to the 8th grade, but they graduated from 8th grade with more intelligence than our Professors in Universities possess in our ‘modern post-industrial’ world. Our schools no longer teach critical thinking but are ‘socially engineered’ to indoctrinate our youth to Marxist communist immorality to the destruction of our sovereign Constitutional Republic. This is the eighth-grade final exam from 1895 in Salina , Kansas , USA . It was taken from the original document on file at the Smokey Valley Genealogical Society and Library in Salina , and reprinted by the Salina Journal. Name the parts of speech and define those that have no modifications. If a load of wheat weighs 3,942 lbs., what is it worth at 50cts/bushel, deducting 1,050 lbs. For tare? District No 33 has a valuation of $35,000.. What is the necessary levy to carry on a school seven months at $50 per month, and have $104 for incidentals? Find the interest of $512.60 for 8 months and 18 days at 7 percent. What is the cost of 40 boards 12 inches wide and 16 ft.. Long at $20 per metre? Over the past 11 months, I have traveled tens of thousands of miles to visit 13 countries. I have met with more than 100 world leaders. 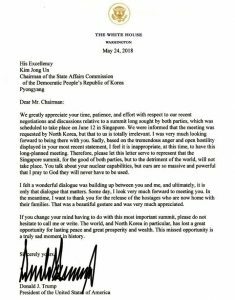 I have carried America’s message to a grand hall in Saudi Arabia, a great square in Warsaw, to the General Assembly of the United Nations, and to the seat of democracy on the Korean Peninsula. Everywhere I traveled; it was my highest privilege and greatest honour to represent the American people. This Open Letter is addressed to certain Senators and Members of Congress including Speaker Paul Ryan, Senate Majority Leader Mitch McConnell, Senator Ben Sasse, Senator Marco Rubio, and Congresswoman Liz Cheney in the wake of comments they made over the weekend. 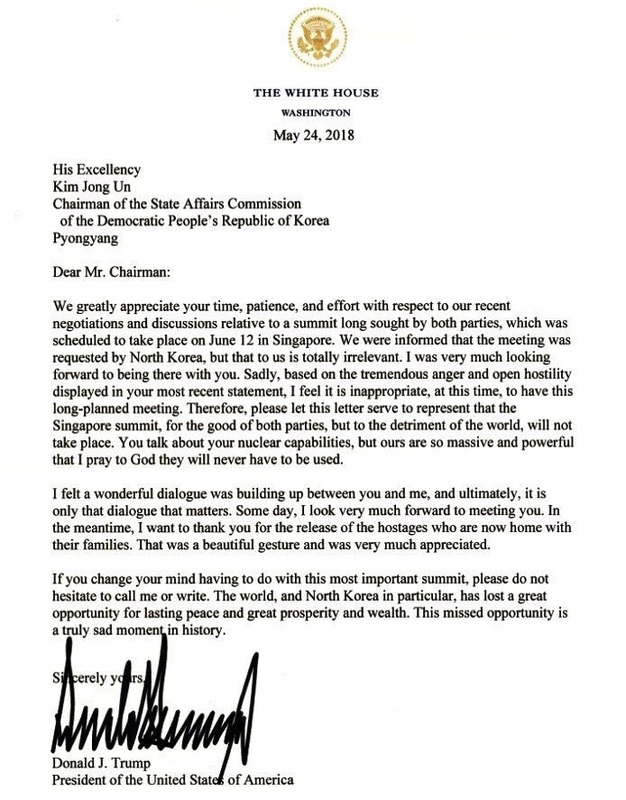 Thank God for President Trump’s honesty. In your coordinated weekend expressions of outrage over the President’s comments regarding Putin and Russia, you are correct about one thing: there is no “moral equivalence” between the conduct of Russia under Vladimir Putin and the behavior of the United States during the quarter of a century that has elapsed since the Soviet Union collapsed. Putin wins that contest every time and it is not even close. Since then, the United States has violently overthrown governments and invaded, bombed, and occupied territories in more than a dozen countries stretching from the Balkans, across North Africa, throughout the Middle East and up into the Ukraine. During the same period, Russia has attacked no other nation despite a blizzard of propaganda to the contrary emanating from the bi-partisan U.S. War Party and its allies in Establishment media organs. During the last 25 years, the United States has caused the deaths of more than a million people in sovereign nations that have not attacked us including hundreds of thousands of non-combatant men, women and children. This trail of bloody carnage runs through the former Yugoslavia, Algeria, Afghanistan, Iraq, Libya, Syria, Pakistan, the Ukraine, Yemen, Somalia, and Syria (among others) and continues to this day. In contrast, Russia has conducted itself with admirable restraint despite the most recent United States’ aggression in which the United States organized, funded, and directed the violent overthrow of Ukraine’s democratically-elected government and inserted a puppet regime in its place in February of 2014. Senator John McCain and Hillary Clinton’s Deputy Secretary of State, Victoria Nuland, were intimately and directly involved in that putsch. Just to be clear, I am no peacenik. I believe defense of the nation is the Federal Governmen’s primary responsibility. I am a veteran of five years active duty service with the 1st Cavalry Division, the 7th Infantry Division, and the XVIII Airborne Corps. I am a small businessman and the father of five grown children, two of whom were career military men. I despise Marxism, Socialism, and collectivism of all sorts and for most of my life have considered myself to be a conservative Republican. That self-identification ended when I finally realized that the Republican Party and the Washington Defense and Diplomatic establishment had been subverted by an insane empire-building neoconservative cult during the Clinton administration. The hypocrisy that underlies your constant efforts to demonize Russia and Iran is disgusting and transparently obvious. For murderous thugs like you who have been constant cheer leaders to Washington’s bloody banditry and are implicit in it to presume to lecture the President of any other country about his conduct is enough to make one vomit. I only hope the American people awaken quickly enough bring you and your fellow war criminals to justice before you ignite the Great War you are working so hard to foment. 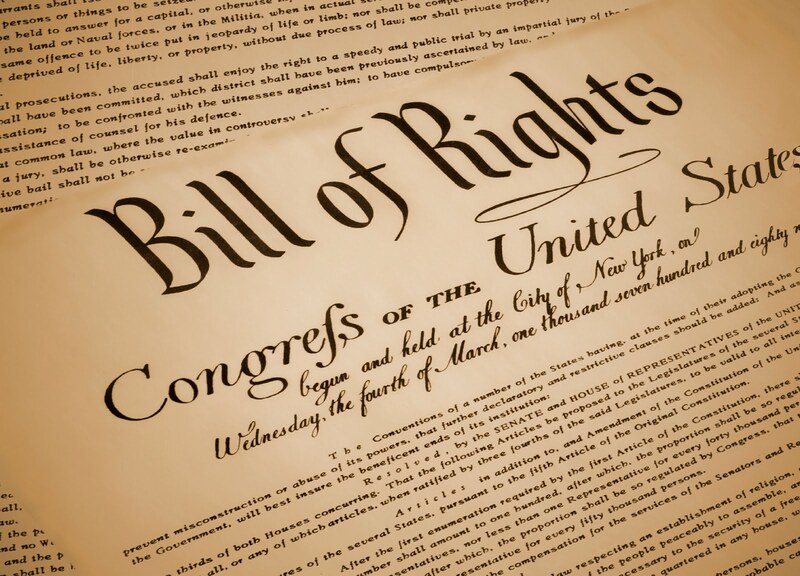 Treaties Do Not Supersede the Constitution – VERY IMPORTANT! The following qualifies as one of the greatest lies the globalists continue to push upon the American people. That lie is: “Treaties supersede the U.S. Constitution”. The Second follow-up lie is this one: “A treaty, once passed, cannot be set aside”. 3) A treaty can be nullified by a statute passed by the U.S. Congress (or by a sovereign State or States if Congress refuses to do so), when the State deems a treaty the performance of a treaty is self-destructive. The law of self-preservation overrules the law of obligation in others. When you’ve read this thoroughly, hopefully, you will never again sit quietly by when someone — anyone — claims that treaties supercede the Constitution. Help to dispell this myth. 100 Million Armed Americans with Nothing Left to Lose! WE THE PEOPLE, the citizens of these United States of America, individually and collectively, hereby proclaim certain specified and unspecified usurpation’s, laws, regulations, policies, practices and actions of elected, and non-elected public servants and employees are unconstitutional, unlawful abuses and excesses of power, control, and manipulation, often to the detriment, safety and security of citizens, and without just cause or legitimate, lawful authority; and that such violations will no longer tolerated. 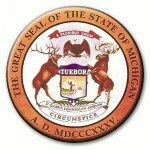 Henceforth, any and all violations of the Constitution of the United States of America as written, amended, and ratified by the several states, by any public servant, whether elected, appointed, or employed by federal, state, or local government shall be deemed to be unlawful acts and as such shall be prosecuted and tried in appropriate judicial jurisdictions. Any Executive Action or Order, either at the federal or state level, that forces any and all political appointees, staff, or employees to violate the Constitution of the United States of America or act in such a manner that the constitutionally protected, God-given, natural human rights of the citizens of the United States of America are violated or denied, or that puts the safety, security, and lives of said citizens in possible or imminent danger and jeopardy. 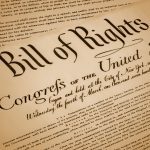 We will no longer comply with any law, Executive Order, regulation, code, treaty, or other mandate that violates our constitutional rights, forces us to violate the constitutional rights of our fellow citizens, or puts our lives and well-bring in jeopardy or imminent danger, or violates and invades our privacy or property without a warrant issued by impartial judicial authority. We will, when aforementioned violations and actions are attempted with, and by, the use of armed force or aggression, oppose and deny said force and aggression with armed response, as is our right and duty under the Constitution of the United States of America. Any action or attempted action by any government entity, whether by legislation or Executive Order, to arrest, detain, or hold beyond a lawful period, without warrant, due process, or probable cause and without access to or representation of legal counsel, for any reason, any citizen or group of citizens, in any jail, prison, work camp or facility, or detention center or camp, without the express permission or request of the citizens, SHALL B E CONSIDERED AN ACT OF WAR AGAINST THE AMERICAN PEOPLE AND A STATE OF WAR SHALL EXIST. If representatives of a government agency, or members of an armed force, come to you or otherwise engages in any activity that denies or deprives you of your constitutionally protected, God-given natural human rights, and does so with violence or the threat of violence, and further, does so without a warrant issued upon presentation of probable cause by lawful judicial authority, armed resistance and engagement is authorized. When, due to an unprovoked assault upon your person that puts your life in immediate jeopardy or has the potential to inflict great and serious bodily harm, armed resistance and the use of deadly force is authorized. When, due to an unprovoked assault upon other persons that puts their lives in immediate jeopardy or has the potential to inflict great and serious bodily harm, armed resistance and the use of deadly force is authorized. Please do not erroneously label the foregoing document as a threat; it is not. It is a “line in the sand” that, hopefully, will be understood by all for precisely what it is. 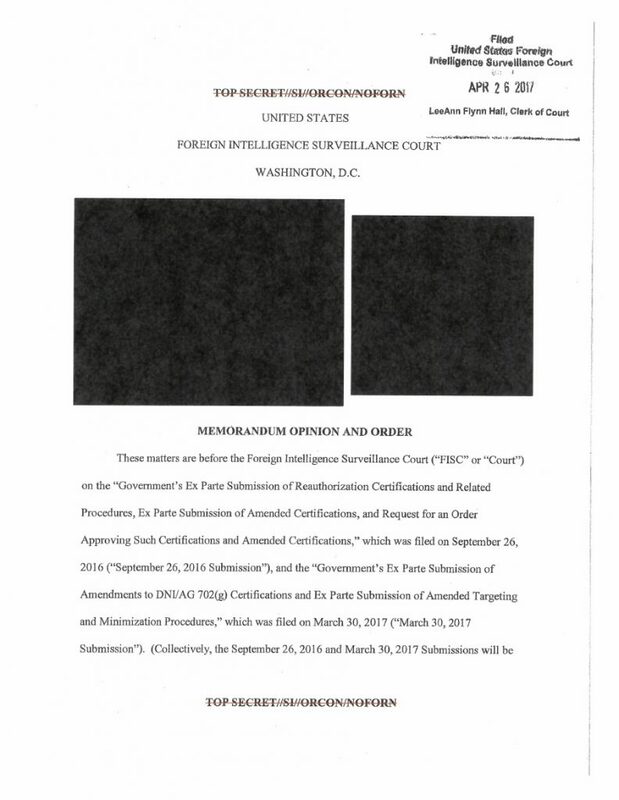 The widest possible distribution of this document is authorized, including personal and mass emails, with specific emphasis to all government personnel and agencies at all levels and functions, citizens’ organizations, and the entire spectrum of media outlets and Internet sites including Face Book, Twitter, You Tube and other social media. Below is information every Militia Member and Patriot Soldier MUST know. Some entries are long, some are short, but ALL are important in the coming fight for our return to freedom! I recommend checking these sites daily!